“Prague is a wonderful city, like from another century, like from another world. I’ve never seen anything more amazing.” – Lou Reed. We can´t help but agree. Prague is among the top ten most visited cities in the European Union. Tourists from all over the world are drawn by its historic center with dozens of sights and attractions. As opposed to other European cities, Prague´s sights are situated in a relatively small area, so you can enjoy all of them while strolling comfortably through the city. Prague´s charming architecture mostly comes from the Middle Ages. The city has undergone a major transformation during the reign of Charles IV. (if you had to remember one name from the Czech history, be it Charles IV.!). He built the Old Town, New Town, Charles Bridge and began the construction of the cathedral at Prague Castle (i.e. St. Vitus Cathedral which was completed after nearly 600 years, in 1929!). Prague was indeed flourishing under Charles IV. as evident from the high number of other Gothic buildings from this period. The city was enjoying another wave of architectural, though not social, prosperity in the Baroque period. Most tourists come to Prague in the summer but the best time to visit the city is probably spring or autumn. The blooming Petřín Hill, Rieger Gardens and Letná, the falling leaves in Stromovka and Grébovka will stay in your mind forever. You should definitely add the parks to your “to-do list” in Prague – you can relax here and gather strength for your trips to other Prague districts. You will probably not manage to visit all of them, so we will give you, at least, two tips. Climbing Petřín Hill (or going up by cable car) is a must. The Petřín Observation Tower situated on top of the Hill is at the same altitude as the Eiffel Tower and if you climb all the 299 steps, you will get a magnificent view of the entire city. Another beautiful view is from the Letná park. Letná is a residential district with small shops and cafés on every corner and, though situated toward the border of the historic center, it is definitely worth visiting. If you leave the historic center and head out into the surrounding neighborhoods, hop on the metro or tram. Prague public transport is well organized and easy to understand. Night transport consists of trams and buses (be careful – the metro only goes until about 12.30 a.m.). After midnight, trams run every 30 minutes and individual lines meet each other at the Lazarská central station. Vinohrady, Vršovice, Žižkov, Letná and Karlín – Why? Vinohrady is a renowned district and, at the same time, a good place to live. The buildings and their surroundings – large trees, broad and clean sidewalks – show that this neighborhood had been a residence of the most affluent members of society. Easy access to the city center is yet another advantage. 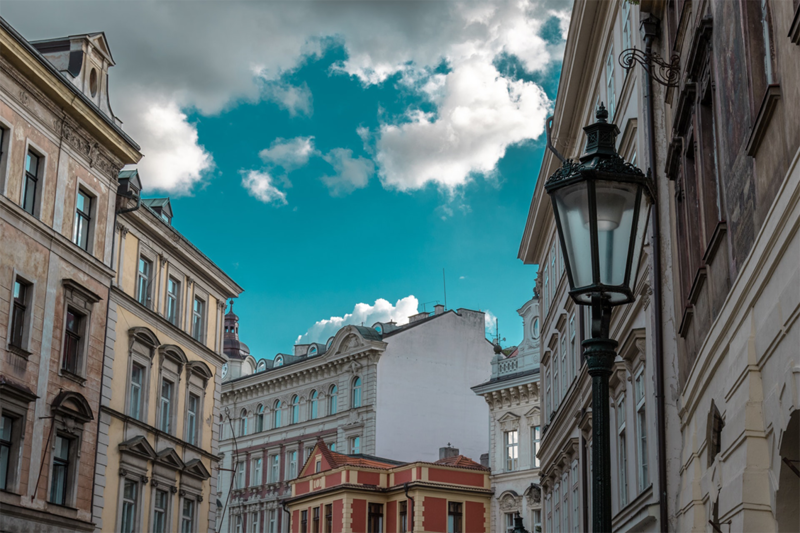 Being a meeting point of four major Prague avenues, Náměstí Míru is a place to start your explorations of the entire city: downtown in the east, uptown in the west, Rieger Gardens in the north and Grébovka in the south. Needless to say that you will meet plenty of bars, clubs, cafés, shops and restaurants along the way. Vršovice is referred to as Czech Berlin. Walking along Krymská Street will take you to some great venues such as Café v Lese, Sladkovsky Café, Plevel, Zenit and many others. Žižkov is a Prague legend. It is an authentic place – noisy pubs stand next to quiet cafés, dilapidated houses next to large residences. You will meet almost everybody here: students, expats, small children and seniors. Staying at Letná is a dream of many people. There are original shops and new concept businesses. 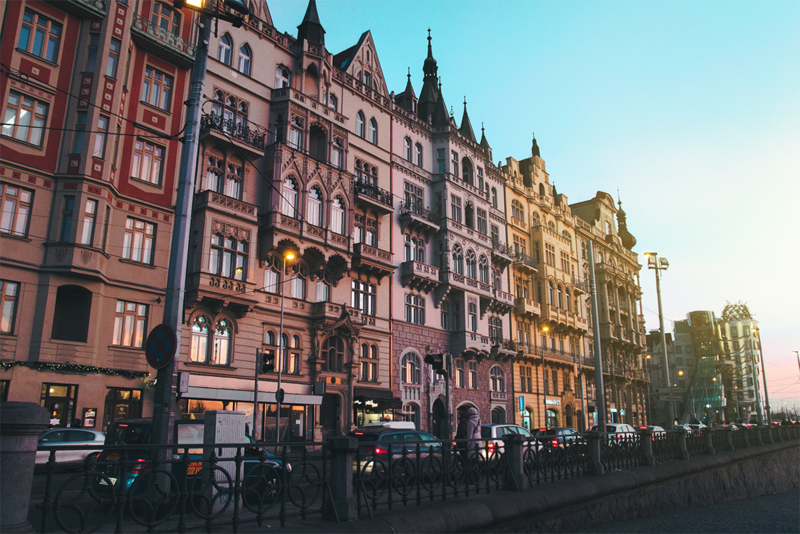 The First Republic mansions combined with two large parks, cafés on every corner, amazing bistros, good restaurants and bars – simply, Letná is a cultural phenomenon and a good address. After the flood of 2002, Karlín has undergone major reconstruction and today it must be recognized as the most progressive Prague district. New businesses open almost every month here. The truth is that Karlín lives more during the day, the nightlife is buzzing mainly in the bars around Karlín Square. We hope you will find Prague a wonderful place to stay in and return again whenever you get the chance to do so. We hope you will enjoy Prague and you will come back here often.